I still have to explain better here my research on the sound/acoustic dimensions of Cairo (Egypt). This project could bear the name of صوت القاهرة, that can be translated as “the voice” or “the sound of Cairo”. 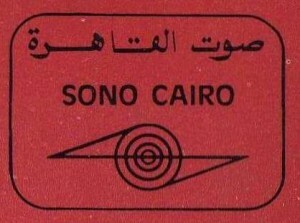 I will here refer to my first article written about the sounds of Cairo (in French): Sound ambiances of Cairo: To propose an anthropology of sound environments and the chapter published afterwards (in French, you can read and… listen): “The atmosphere is great”, or the evanescent relationship to soundscapes in Cairo, but this one too (in English), “The sound of society”: a method for investigating sound perception in Cairo, or this other one to be published very soon (in English): Mics in the ears: How to ask people in Cairo to talk about their sound universes. Regarding conferences and lectures, all in French so far for this subfield of my researches, there was this one, interesting: “The atmosphere is great”, or the evanescent relationship to soundscapes in Cairo, and others like this one, Can we do an ethnography of sound of Cairo?, and this one a bit later: Mics in the ears: how to ask people in Cairo to talk about their sound universes (…). on Arte Radio. Recording: Feb. 06, Mix: Samuel Hirsch, Dir. : Anthony Carcone. 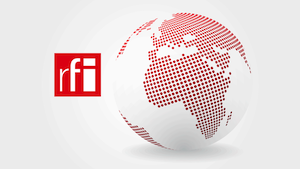 … and I have to refer to my own broadcasted sounds on Cairo: Sounds from Egypt - with RFI. Dernière mise à jour de cette page le Saturday 24 December 2016 à 11:42:25. //// -----> Citer cette page? Vincent Battesti, "Urban Ambiances — صوت القاهرة" [en ligne], in vbat.org anthropoasis, page publiée le 24 December 2016 [visitée le 13 April 2019], disponible sur: http://vbat.org/spip.php?article772.